The Systems Development & Improvement (SDI) Center at the University of Cincinnati, College of Education, Criminal Justice, and Human Service, fosters the development, implementation, and evaluation of PK20 education research and demonstration efforts that improve opportunities to learn for children and youth, their families, and the professionals who support them. At the core of many SDI Center activities is a commitment to advocacy on behalf of all children, as well as partnerships – with school districts, with professional associations, with institutions of higher education, with regional providers, with the state – that improve conditions and outcomes for all students. One such initiative is the Ohio Partnership for Excellence in Paraprofessional Preparation (OPEPP). The OPEPP work involves continuous learning activities that improve educators’ effectiveness in meeting a wide range of educational needs. Its focus is on systemic improvement grounded in evidence-based practices that optimize benefits for all learners. The Ohio Partnership for Excellence in Paraprofessional Preparation (OPEPP) builds the capacity of school districts to use paraprofessional educators effectively. Effective education for all students is possible only in systems that take action to ensure equity and inclusiveness. Instruction works best when it is a team effort that includes general educators, special educators, paraprofessional educators, and related service personnel. Paraprofessional educators add to the overall instructional capacity of districts. Intentional planning is necessary to ensure that districts make wise use of the instructional capacity of all educators, including paraprofessionals. Inform state-level policies and actions to promote the use of inclusive service delivery models that support the learning of all students. 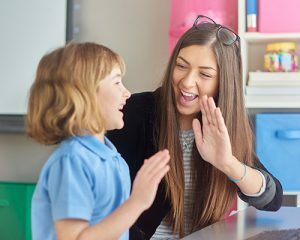 The OPEPP model is built upon the Council for Exceptional Children’s Standards for Paraprofessional Preparation, which underscore the increased significance of paraprofessionals as contributors to the delivery of effective instruction to all learners. OPEPP offers online learning modules, technical assistance and professional development packages, and online resources and support. 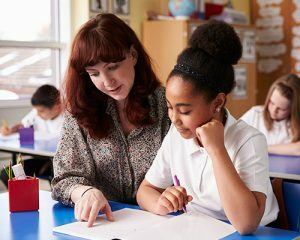 These products and services offer a coherent set of training and resources designed to help teachers and paraprofessionals respond to the complex demands of their core responsibilities. Customized technical assistance and consultation to support district and school teams in analyzing existing service delivery approaches and aligning the use of instructional personnel, including paraprofessionals, with district and school priorities for improving instruction and learning for all students. Customized online and face-to-face professional learning for educators, and opportunities for district and school-based teams to learn from experts and from each other through varied learning and networking opportunities designed to improve instruction and learning for all students. Access to research-based, self-paced learning modules and related resources for educators on a variety of topics relevant to district and school use of personnel, including paraprofessionals and teacher-para teams, designed to improve instruction for all students.